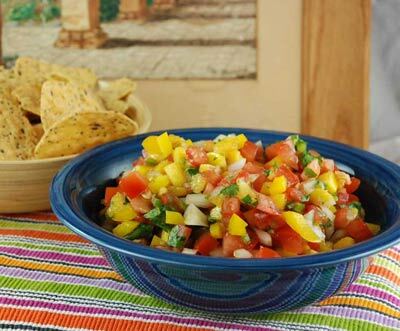 Fresh ingredients make this salsa burst with flavor! Mix all ingredients together, cover and refrigerate for 1 hour. Use caution when handling fresh peppers or chiles, taking care not to touch eyes or face. Wash hands thoroughly when through. Wear protective gloves if possible, when handling fresh peppers and chiles.